New York, New York – November 19, 2018 – Maranda Curtis is one of the most stunning and successful breakout artists in Gospel music this year. Her album Open Heaven debuted at #1 on the Billboard Gospel charts, and has amassed more than 13 million streams overall. 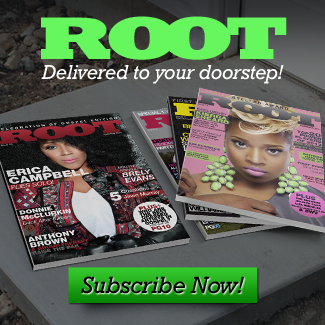 It has also spent 28 weeks as a Billboard Top-25 Current Gospel Album, making her one of the Top-10 Independent artists for six months. A spectacular talent and a worshipper at heart, it is befitting that Curtis has released a Christmas project to celebrate the joy and magnificence of the season. 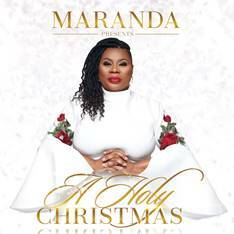 Produced by Grammy nominee and close collaborator Dana Sorey,Maranda Presents a Holy Christmas is extraordinary in its musical arrangements as well as the expected goosebump-raising vocals delivered by Curtis and featured guests that include Benita Jones, Amante Lacey, Dr. Kevin Bond and more. Standout tracks include a fresh take on “Joy to the World,” “The Christmas Medley”, which presents a lush and moving rendition of “Oh Holy Night” and “Silent Night” and an immediately arresting presentation of “The First Noel” that features Grammy-nominees The Baylor Project and Jamison Ross. Maranda Presents a Holy Christmas is available now from Butterfly Works/Red Alliance Media everywhere that digital music is sold.